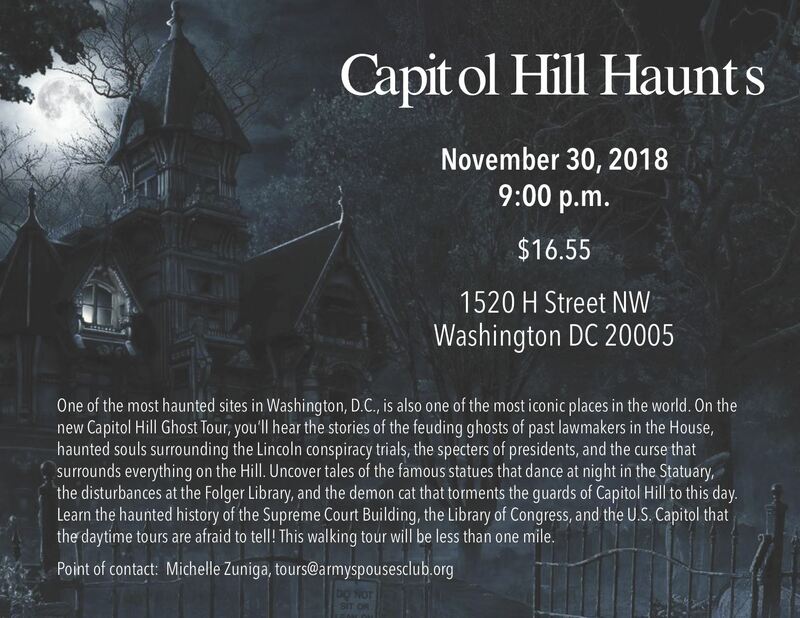 The Capitol Hill Haunts Tour has been rescheduled for Friday, November 30th at 9 p.m. PlEASE NOTE - Above is the updated address for where we will meet for tonight's Capitol Hill Haunts Tour. Meeting time is 8:45pm. Bring along a camera for ghost hunting. If it looks like rain, bring a poncho or umbrella. Bring bottled water if needed.